Why not make your next break a camping holiday with a difference at Carr’s Hill and come and stay in one of our Luxury Safari Tents? Without giving up those home comforts our beautiful tents offer all the fun and adventure of living in the great outdoors and sleeping under canvas. 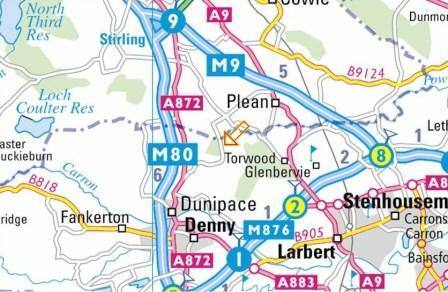 What’s even better is that we are located in the heart of Scotland, midway between Falkirk and Stirling. We are just a short drive from a whole host of amazing attractions. For example, Edinburgh, Glasgow, Perth, Loch Lomond and St Andrews are all within easy driving distance too and are great for a family day out. You’ll be able to wake up every morning and breathe in the fresh country air and enjoy the stunning views. And at the same time you’ll still be close enough to civilisation to enjoy all that’s going on in the surrounding area. You can enjoy breakfast on the veranda (we can’t promise sun but it’s undercover so you won’t get wet if it’s raining!). And at night you can use the barbeque facilities and picnic benches for eating outside. On chillier nights, you can cook and eat indoors then relax in front of the log burner. Want to bring your family? No problem! To date, our youngest visitor has been 4 weeks old and our oldest 84 years old. Young children will be safe outdoors in the large enclosed grass field around the tents. 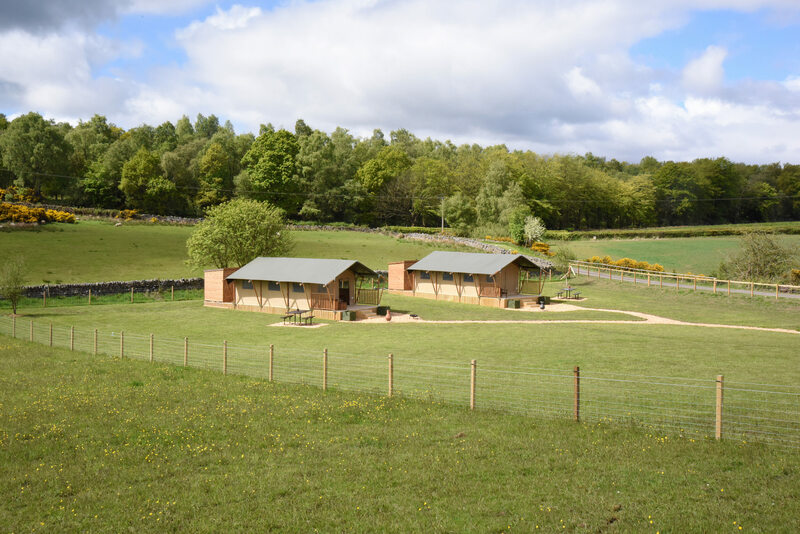 And you’ll be able to watch them have fun playing whilst you relax and settle down for the evening with a nice glass of wine and a view of the magnificent sunsets towards Ben Lomond and Ben Ledi. Plenty of older children enjoy their holidays at Carr’s Hill too. They can play games in the field or if they prefer they can take a walk around the woods. Plean Country Park is close enough for a walk there too. Couples also love coming to stay at Carr’s Hill where they find they can just unwind and enjoy the peace and quiet. There really is something for everyone. Our visitors do come from near and far. Every year we have international visitors and we have welcomed people from Holland, France, Italy, Spain and other European countries too. From even further afield are those who’ve visited from India, South Africa and Australia. However, we’re also pleased to welcome local visitors from very close-by. Many of our guests are from around the Stirling and Falkirk area. So why not book a stay at Carr’s Hill even if you’re one of the locals. You might live right on the doorstep but Carr’s Hill is the perfect place for you to enjoy a weekend with a difference! We have two Luxury Safari Tents and they’re affectionately known as Hazel and Jennifer. They are truly a home from home but without the distractions of your usual daily lives. Being ‘off grid’ means our tents have no mains power supply. You’ll find your way about at night using storm lanterns, solar lights, candles and torches. This creates a fantastic memorable experience for the children and a truly romantic atmosphere for couples who want to unwind. Although the tents are off grid, we do have power points in our reception building a short distance away. Your mobile telephones can still be charged and you’ll still be able to plug in the all important hair dryers and straighteners. We aim to provide an ‘away from technology’ experience for families, allowing the art of conversation to be reinvigorated! Both tents have board games provided and we encourage relaxation, reading and enjoying the great outdoors for both children and adults alike. Your escape to our Luxury Safari Tents will ensure a return to good old fashioned family values. You” be able to focus on nature, the countryside and (most importantly) the real enjoyment of just being together. So whether you’re a family looking for a camping experience with a difference or a couple looking for a peaceful getaway our Luxury Safari Tents are waiting for you.